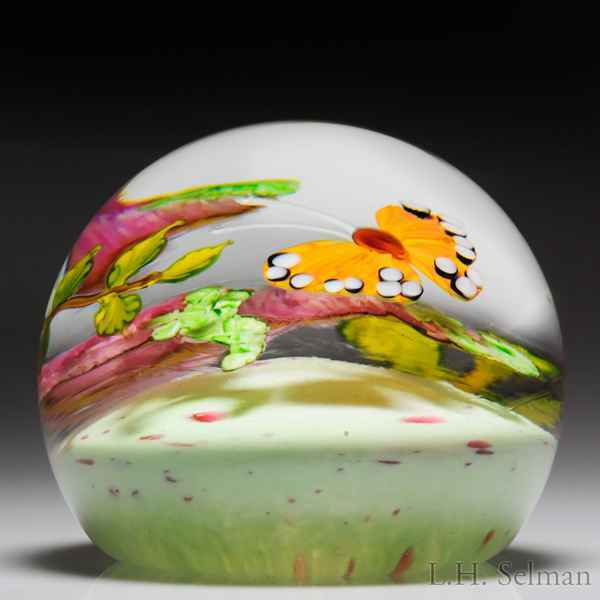 Mayauel Ward 2017 orange butterfly and pink wisteria compound paperweight. An orange butterfly, its orange wings rimmed in white dots, floats above a speckled pistachio-green ground, partially obscured behind two clusters of trailing pink wisteria and leaves. Signed/dated. Diameter 3 1/8".